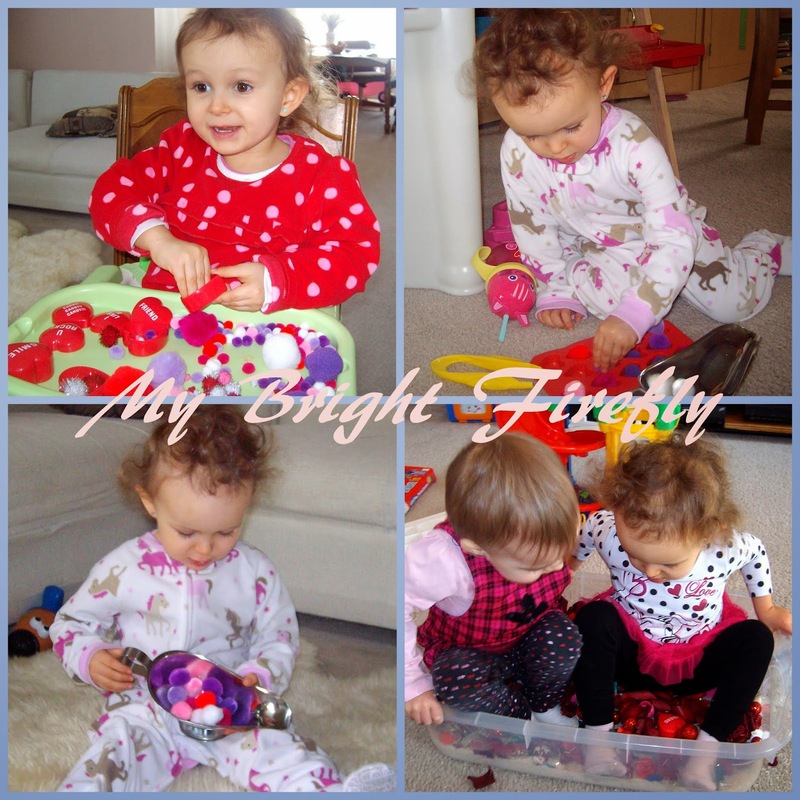 My Firefly dug into her new treasures with excitement and a positive message of love - how fun! 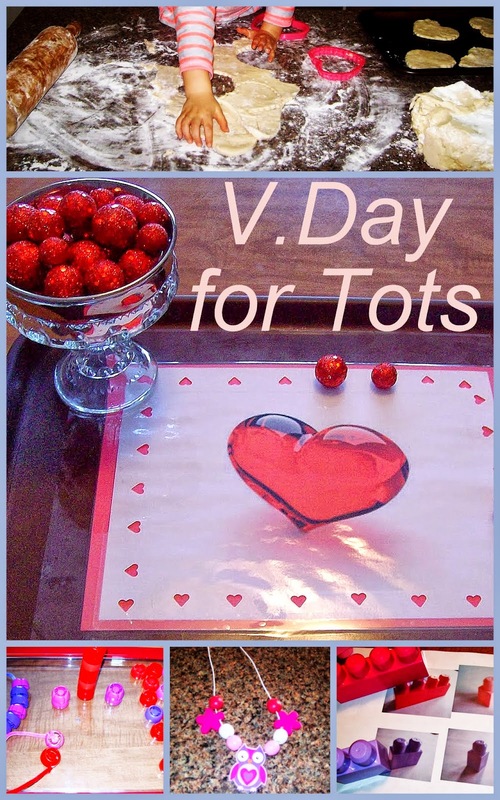 All the bright colors of the Valentine's Day are very engaging in practicing fine motor skills, one-to-one correspondence and beginning counting, in discovering new materials and tools, in working on recognizing sizes and the shape of a heart. You can also find our Valentine baking fun inspired by the favorite book here: Happy Valentine's Day, Mouse! Read and Play. 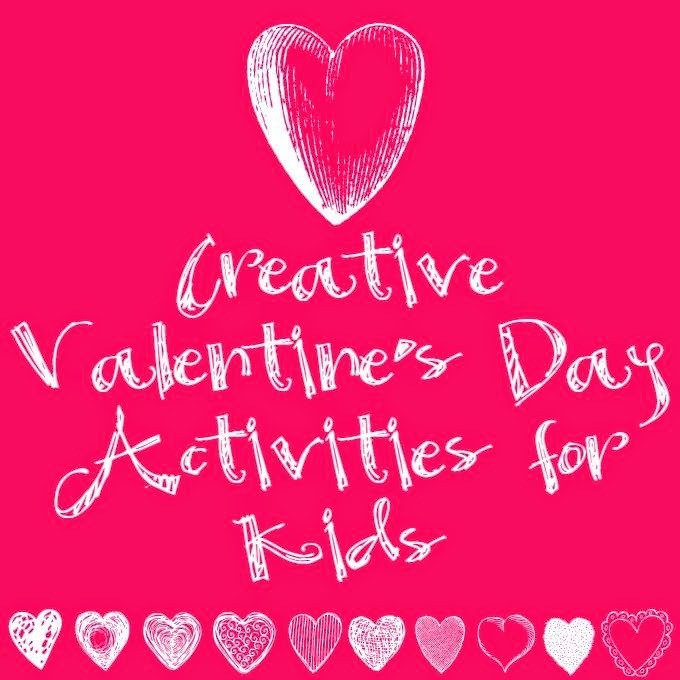 More Creative Valentine's Day Activities for Kids are at the end of this article! The Heart Tray with red balls - a transfer activity with one-to-one correspondence. Pictured above: I printed and laminated the picture on white paper; then punched heart-shaped holes in it. I placed white sheet over a red one and taped everything to the tray. Little heart holes help red balls to stay in place, but require some hand-eye coordination and fine motor skills to set the balls. Creative ways to use the fun colorful tops from baby food pouches. Pictured above: The fun plastic tops can be used in so many ways! For Valentine's activities, we were stacking them to make cheerful Valentine towers, sorted by colors and shades (light pink and dark pink), threaded them to make necklaces. "Look at/ find this big sparkly dark pink!" Introduction to description words and following directions are at play here. My Firefly loved stuffing pom poms into the heart containers and transferring them into different fun containers and bowls. Finally, I made a quick sensory bin for kids: pom poms, colored rice, dried scented flower petals, heart containers, read balls. Of course, they had to get into it as much as they could. Tots were offered mega blocks, all shades of red, pink, and purple, that we could find. We gave them time to explore and build first, practiced naming the colors and distinguishing the shades. I took pictures of single blocks and simple structures of 2 blocks per picture and asked kids to find or build matching "towers". This activity is not as simple for a 2 year old as it looks! The Teddy bears are printed out in 5 different colors. Tots were to arrange bears from the biggest to the smallest. Then we outlined the shape of each with the crayon and offered them to match a bear to his shade and glue it in with a glue stick. Pictured below: the inside of the card. The picture is pre printed. Kids decorated it more with stickers, stamps, and crayons. Fun! Making Valentine cookies: what can be better than that?